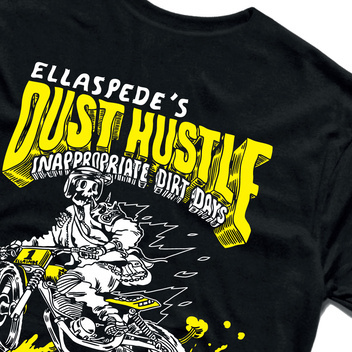 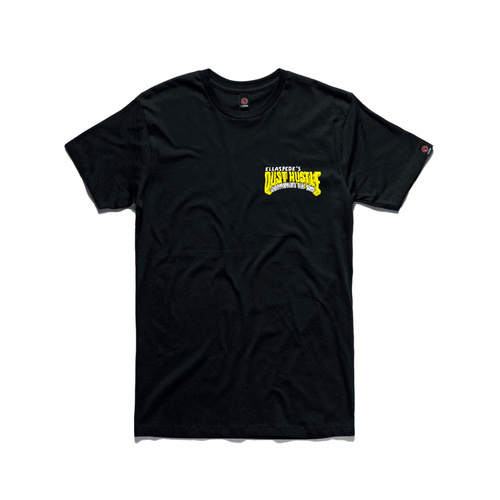 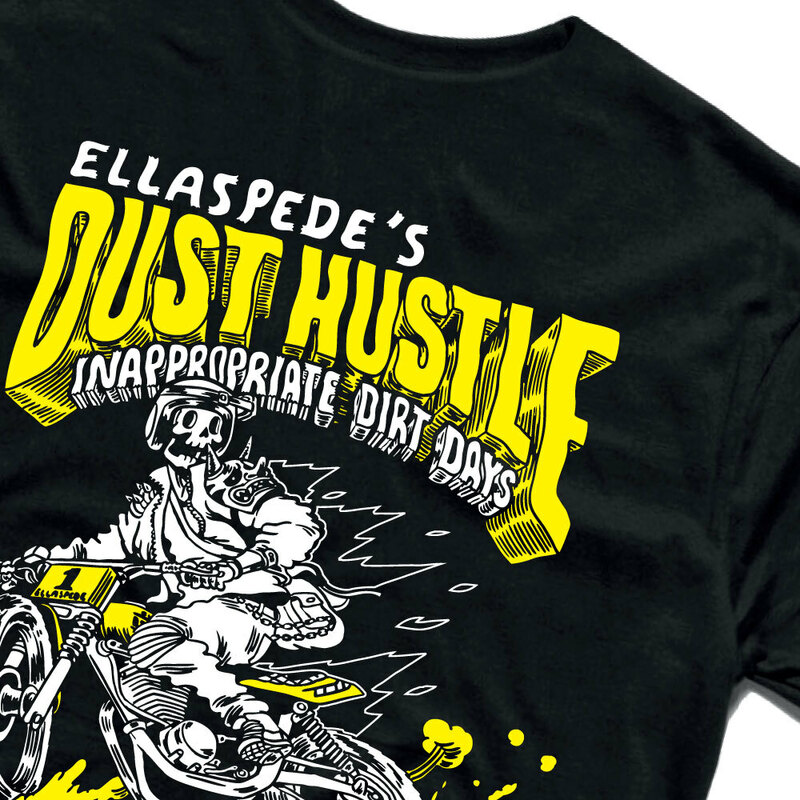 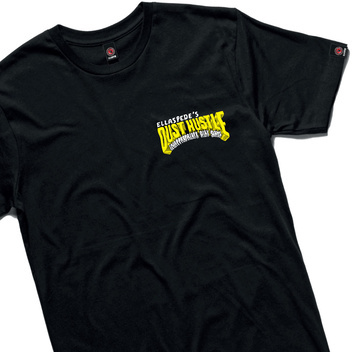 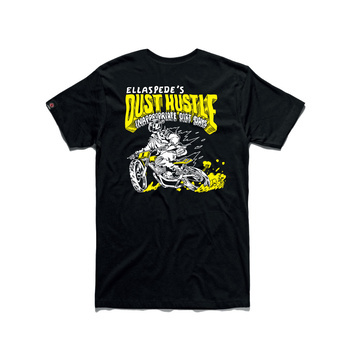 The official Ellaspede Dust Hustle ‘Sideways’ t-shirt is here! Order now to ensure you’re guaranteed one of this limited run. Proven in our workshop, these tees are a hard wearing 150 GSM 100% cotton and feature a stitched sleeve logo detail. They’re also pre-shrunk, with a shoulder to shoulder tape and double needle hems preventing any unwanted stretch.